Right. So you're looking for a trusty and competitively priced Australia car rental, and Thrifty car hire has sprung to mind. And no wonder - Thrifty is everywhere throughout Australia's business, tourist, regional and remote areas. Thrifty offers value, quality and service no matter if your car rental needs include business travel, leisure or local vehicle rental. Thrifty have a massive fleet of 7000 vehicles which consist of cars, trucks, vans and buses. Thrifty's fleet has an average age of just six months. 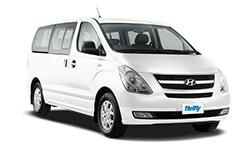 So it's easy to see your every Australia car rental need will be catered for with Thrifty car rental. 3. VroomVroomVroom guarantees you the best web-based pricing for Thrifty vehicles. Check out VroomVroomVroom's price promise to see how this works. It gets even better, however. VroomVroomVroom also has official contracts with the rest of Australia's most popular and trusted car rental companies: Hertz, Budget, Europcar and Avis. On VroomVroomVroom's site you can directly compare prices and deals by Thrifty and the other car hire companies to be sure you're getting the best deal possible with an Australia car rental company that will provide you top quality service. VroomVroomVroom's price promise covers all the car rental companies on its site. Best of all you can search for deals by location. 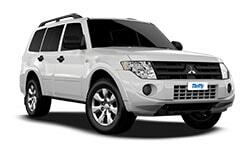 Check out the amazing deals and specials for Australia car rental.